R&S Fire Doors combine the durability, security, efficiency and space saving advantages of a rolling service door with the added life and property saving benefits of automatic fire protection. Underwriters Laboratories, Warnock Hersey and Factory Mutual up to 3-Hour/Class ‘A’ Label or Oversize Certificate of Compliance is furnished standard. Fire Doors are designed to close automatically from a fully open position. Fire Doors are not designed for use in high cycle applications. Many options are available including Electronic Release Devices, smoke detectors, battery back- up systems, perimeter gasketing, vision lites, and more. Call for more info. * Also available with 3 Hour rating on masonry construction. Jambs must be continuous members from floor to structured above.Sizes and attachment of members is to be determined to provide adequate mounting and support for the size and weight of the door. Powdercoat Finish: a durable and decorative finish for steel or aluminum surfaces. It provides longer life and requires less maintenance than a standard finish. Powder coating is available in a variety of colors for use on many products. Consult factory for color selection, applications and limitations. VIBRATECH: ViscousSpeed Governor: available on R & S Manufacturing, Inc. fire doors for new construction and retro-fit. Viscous speed governor is a patented device allowing for a smooth and quiet descent of fire doors, replaces standard ductile iron governor, and recommended on larger certificate size fire doors, either manual or motorized operation. 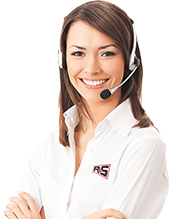 The XPBB release device provides the functionality of a standalone fire alarm system including battery backup for installations prone to power outages or the existing alarm system is unable to support the door release system. 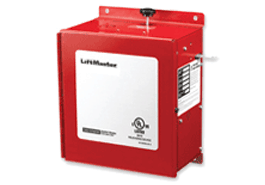 Internal Battery Backup allows the release device to stand alone from the fire alarm system and act independently in the event of a power outage. The system can provide 24VDC power for up to four smoke detectors and two horn/strobes, mounted on either side of the door. Programmable delay settings, close door detection, diagnostic LEDs, localized testing, and reset capabilities are also standard. The AFCB fire door release device works in conjunction with a standard, commercial electromechanical or solid-state operator to create an enhanced, yet economical, fire door operating system. For use with motorized doors incorporating a reversing electric safety edge. This 120VAC device can power up to four smoke detectors and two horn/strobes or speaker/strobes. This system combines state-of-the-art functionality and advanced features typically found on special-order fire door operators. The XP fire door release device in conjunction with a fire alarm panel provides a fail-safe release mechanism for the fire door or shutter. The device requires 24VDC power from an approved UL1481 regulated power supply with Battery Backup, such as a fire alarm control panel. Therefore, installation will require coordination with a fire panel installer.